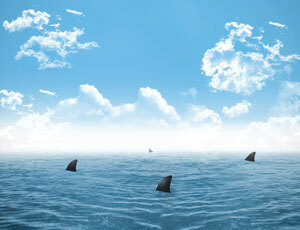 Learn to survive the shark-infested waters of office politics. A single person from infancy to adulthood will experience hundreds to thousands of different people in their life. Some will be single meetings, some will be school or professional interactions, some are family and some become life long friends. The act of finding, meeting and getting along with other people is more complicated then most individuals can consider, however we have all experienced people that we like and people who almost instantly rubbed us the wrong way. While in school and family it is easier to avoid those that don’t seem to agree with you, in the working environment that option becomes increasingly more difficult. We have all found ourselves in situations where that one person we work with or for can become the bane of our existence and in some cases can become so challenging to deal with that we are forced to relocate to another company or even change careers. Most of us were taught growing up that there were two main types of personalities, Type A and Type B. As with most things in life, however, even personality classifications are not as simple as they used to be. A and Type B has been replaced with multiple personality categories involving separation of Introverts and Extroverts, Rational (Judging) vs. Irrational (Perceiving), as well as Sensation vs. Intuition vs. Thinking vs. Feeling. The world of personalities has just gotten more complicated. We are now faced with multi-faceted, internally or externally motivated individuals who are a combination of their conscious and unconscious minds and motivations. The emotional office shark tank just got a lot more formidable. So how does one safely survive and navigate this environment. Unfortunately, there are no perfect solutions and you will be faced with no win situations, that no matter how clear things seem, no matter how much you prepare and plan for the future you will still get it wrong and you will inevitably end up upsetting someone around you. When it comes to navigating life and the riggers of so many different personality types there are no perfect answers or solutions. Life becomes a set of trails and errors. So how do you survive the rigors of the work environment when you find yourself working with or for someone that you just can’t stand? Unfortunately, not all situations can be won with a winning personality and no matter how hard you try you may still find yourself constantly on the cold shoulder of that Manager, Employee or Boss. For situations such as this the best and only answer is to keep things strictly professional. However hard it may be there are just some situations where the best option is to show up, keep your head down and do your job to the best of your ability. These situations are probably one of the hardest to maintain over a long period of time, lack of day to day interplay and connection can make a job boring, dissatisfying and an overall burden. Most people who find themselves in situations such as this are typically short lived in the positions they have. Most individuals would much rather face the unpredictable world of job hunting over spending every day just keeping their nose down, mouth shut and keeping to themselves no matter what. One would think that this option would be the easiest since if you work in the same field as another individual you already share a common interest in your shared profession, but for some that isn’t enough to bridge the gap between a relaxed co-existing working environment and one that feels like you are constantly navigating the next shark attack. In many ways developing a common theme or interest that you and the individual share can help create a connection or at the very least civility that didn’t exist prior. Whether its sport related, hobbies, movies, books or family, typically there is something you can find to discuss besides the struggles of the every day working environment. These shared interactions, however simple and basic, can help lighten some of the strain in the office by building a co-mingling banter and over time could even build into interoffice personal jokes. Establishing a rapport can make the next option easier should it be necessary. When you find yourself in a difficult personality situation and it involves Management or Ownership, you have only a few choices, the most daring being direct communication. With larger companies you are faced with more hierarchy level management which brings its own set of challenges especially when faced with Power Driven Type A personalities or the Slacker delegator who feels that because they are management, they aren’t required to do anything and they let those under them take up the slack or the fall. Neither situation is ideal. So, whether you are faced with the hierarchy management structure or your small business situations where you work more closely with the Owner or Management, it is important to not rule out the possibility of either direct communications or the use of Mediators for middle ground interpretation. So, what happens if you can’t find common ground, you have a hard time keeping it professional and you’ve contacted Human Resources so many times they know your name by heart and refuse to return your calls, what then? You have a few options available depending on your position in the company and how much influence you have; outsourcing to a Quality Control Company or a Management Efficiency Company can assist in completing an analysis or overhaul of the organization. Introduction of a third-party company places the emphasis on the company as a whole and not an individual party. 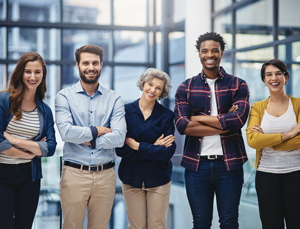 Private and anonymous surveys can help pinpoint areas of the Organization or Business that is affecting the overall morale and productivity of the company by allowing employees the opportunity to speak candidly about their issues or concerns with Ownership, Management or a fellow Employee. By use of an outside consultant you can help face the difficult decision of either relocation of an employee or manager, help arrange a professional intervention to bring any and all issues to the Owner’s attention or termination of employee or manager that has proven to be harmful to the overall environment of the company. But what happens if the offending party, the biggest shark in your tank is the Owner, what then? At this stage you have very few options left in helping you survive the day-to-day feeding frenzies of your own personal shark tank. For those who find themselves in a situation where their emotional and mental wellbeing has been targeted or effected and the mere thought of coming to work sends them into an emotional frenzy or depression, then the answer comes in two simple questions. First, can they change anything about their situation? And secondly if not, can they live with the situation. If basic healthy coping skills fail to provide the necessary protection, however, then one must consider the option of a change in career path or relocation to another company. If we truly can’t find a way to deal with or work around the individual who on a daily basis makes us hate our every waking moment, then the choice becomes clear. It’s time to leave. No one wants to face the possibility of changing a job, especially if they have been at this current profession for many years, however there comes a time when one’s health, sanity, and overall well-being becomes a higher priority than the job. In the end no matter what the choice, you need to decide what is best for you because in the end we spend more time at our jobs then we do in any other aspect of our life and no one should have to waste their life just dodging the next shark attack. Learn to survive the shark-infested waters of office politics and get along with everyone. Your behind the scenes employees are the true lynch pins of your organization.